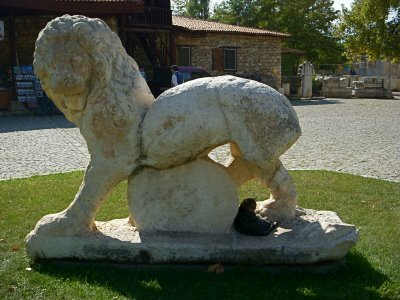 Afrodisias is an archaeological site that many tourists have not heard of and is less crowded than Pumukkale. A city that dates back with continue settlements 5000 BCE—this isolated area, around the time of the 6th century, produced the temple of Aphrodite the love goddess, which correlates with Mut of Egypt, and Ishtar of Babylon….the list continues. The ruins of the Temple in the below picture. 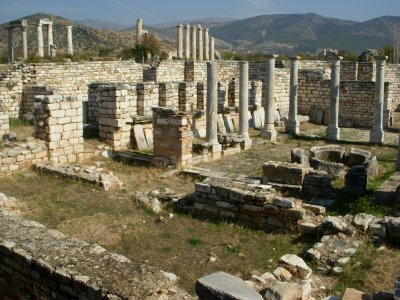 During the 2nd and 1st century BCE, the city prospered under Roman rule. During the Byzantine era the Love Goddess temple was converted into a chaste church of worship, similar to many other areas, from a temple to a church, and many times into a Mosque. Up until the Byzantine era, the Temple of Aphrodite was an area where people would pilgrim to sacrifice and worship. 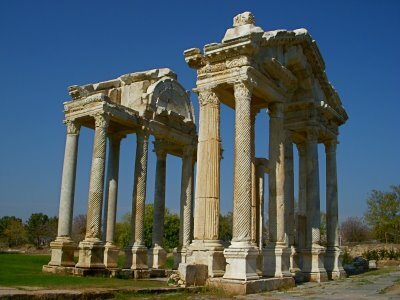 Aphrodisias was primarily known as a center for the arts, specifically sculpture. The Aphrodisias School of Sculpture had a distinctive style and was very well circulated throughout the Greek and Roman world. You have to wonder how this cat can recognize his relative the lion. 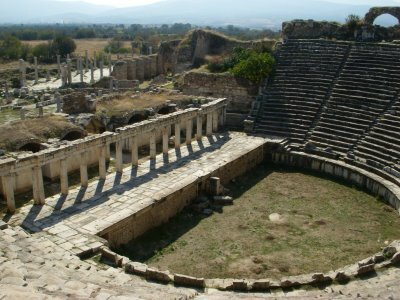 This is the main reason I went to Pumukkale, to take a trip to Afrodisias, which is 100 kilometers from Pumukkale. The transportation is a reasonable cost. Viewing Afrodisias, Hierapolis, and Ephesus in Western Turkey a person will clearly understand the grand size of the Roman cities here in Turkey. Beautifully decorated the cites were from the Roman times with glorious artwork sculptured into the theaters, walkways, temples, and many other buildings. 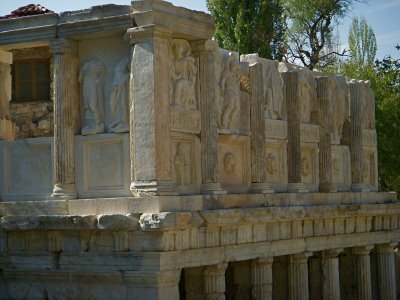 The existence of Aphrodisias was almost forgotten until a Turkish professor, Dr. Kenan Erim, of New York University lead the excavations for 30 years. 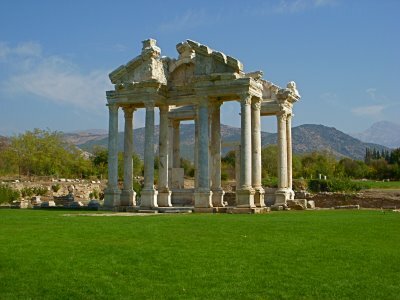 The Tetrapylon, the gate which was leading people to their great temple, was re-erected by Kenan Erim, where he’s buried in front of it with a special permission of the Government after his death. 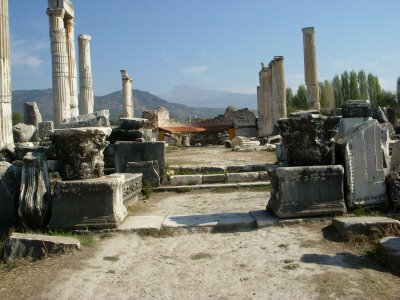 There are much fewer groups that visit Afrodisias compared to Pumukkale and Ephesus. Next post: An Aegean Update! Previous post: Kas—The Aegean Coast.